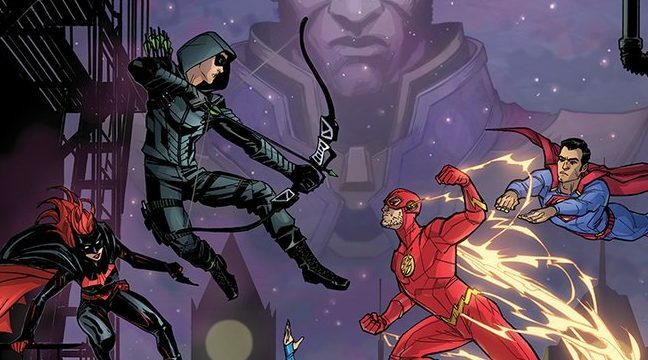 The CW has released a new comic book-styled poster for their upcoming Arrow-verse crossover event titled Elseworlds, featuring the five main superheroes of the crossover which includes Green Arrow, The Flash, Supergirl, Superman and Batwoman along with two villains Dr. John Deegan and Monitor. 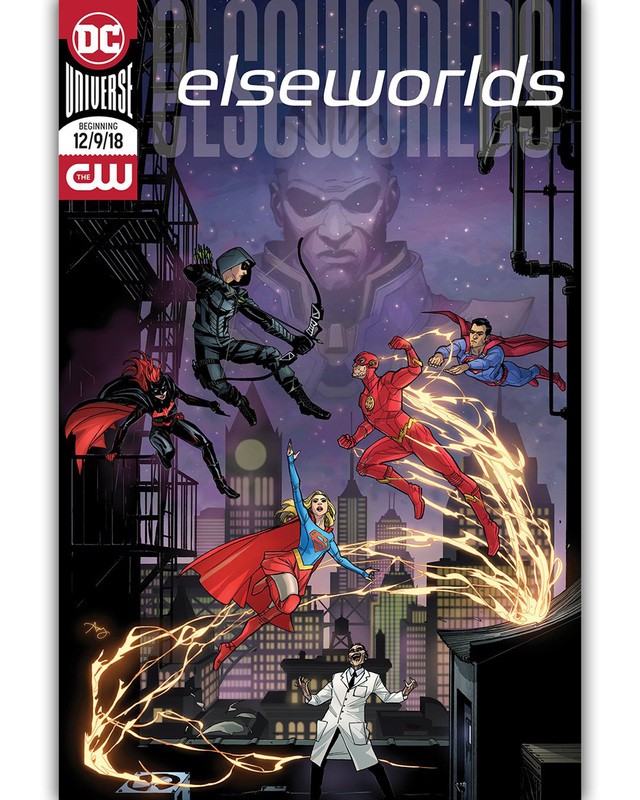 The poster was created by comic book artist Amy Reeder. Check out the cool poster in the gallery below!